Especially for segments where a high net payload must be combined with maximum maneuverability, we mount a tag axle. In addition to extra axles in the heaver segment (up to 10 tonnes), we also offer various options in the lighter segment. For example, we have tag axles starting from 6 tonnes. In many cases we mount a tag axle that is steered and liftable. 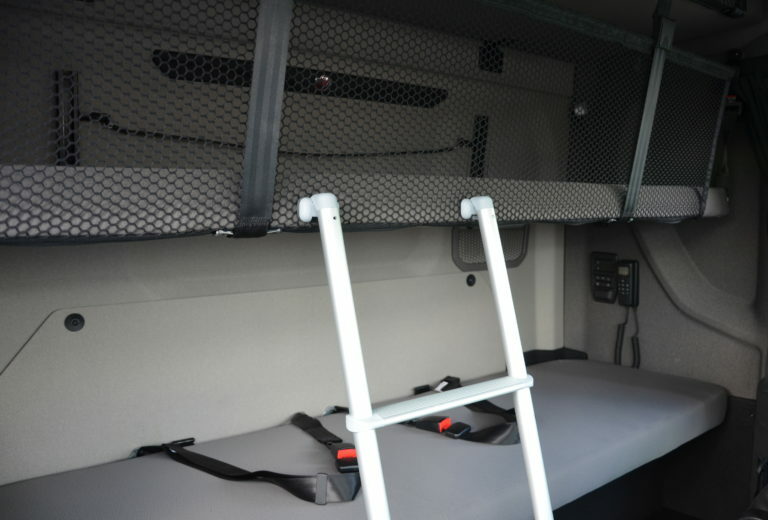 This increases the net loading capacity and manoeuvrability of the truck. Use is made of as many original parts or parts from reputable brands as possible. This facilitates the maintenance on the truck. Approval of the truck manufacturer for the adjustment and compliance with the legal requirements are paramount. A tag axle is ideal, in the heaver segment, for construction vehicles like a concrete mixer. In the lighter segment this modification is ideal for city distrubition. To make the vehicle perfectly suitable for its use, various options are available such as special fuel tanks, tyres or the moving of chassis components.